PERFECT for Valentine's day! 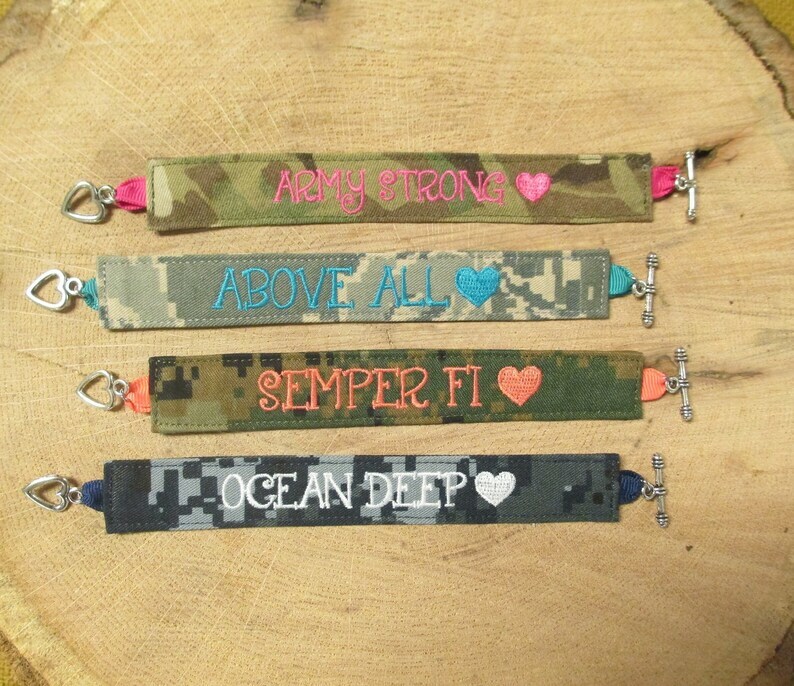 Your LOVE BRACELET will have an ABOVE ALL, ARMY STRONG, OCEAN DEEP or SEMPER FI embroidery with a sweet little heart after! 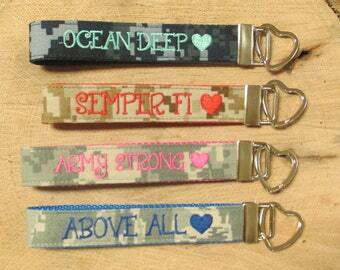 Do you love Military bracelets? Our patriotic Camo bracelet is the perfect item for you! 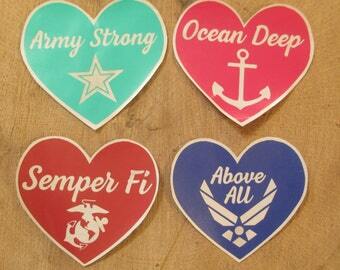 It's adorable heart-shaped clasp shows the love you have for your American Hero! 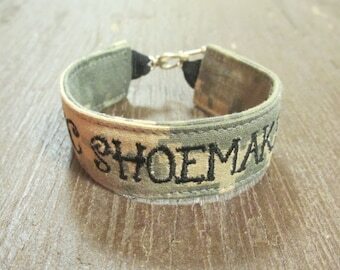 Your Military Camo bracelet will be Made in USA of course! We only use high quality materials in the making of our Custom jewelry. Your patriotic camo bracelet will be crafted with passion and the utmost attention to details and will be a tangible display of your Military Pride. Our Bracelets make great military gifts, deployment gifts, patriotic gifts, Military wife or Military mom gifts and homecoming gifts. They were so perfect!! Love the items!! Fast shipping and good communications! I’m completely obsessed with this!